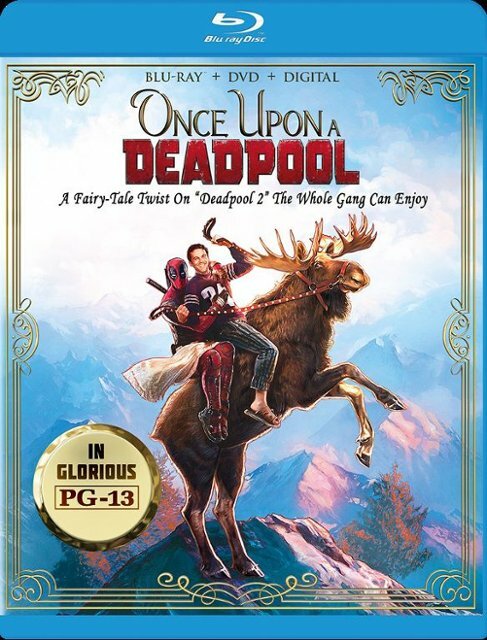 After a one-week stint (planned as a limited release for charity), Once Upon a Deadpool is now available to own on Blu-Ray and DVD. Deadpool and Deadpool 2 are the definition of not suitable for children. They are also hilarious and many young ones, the ones with good parents, never got to experience the man in black (and red). Deadpool himself warned parents of the nature of the films and suggested leaving little ones at home. Impressionable minds just shouldn’t see all the things you can’t unsee courtesy of “DP”. Ryan Reynolds is of course, Deadpool. 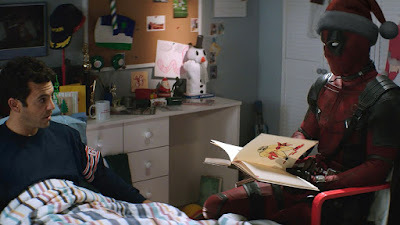 In Once Upon a Deadpool, “pool boy”, as he is affectionately called, tells the story of Deadpool 2. 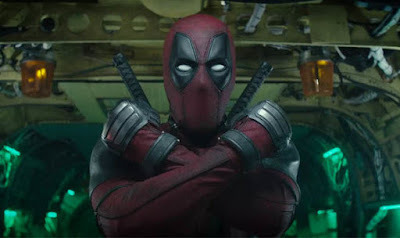 He describes it as “Deadpool 2 filtered through the prism of childlike innocence.” Deadpool explains to Fred Savage, who lies in the Princess Bride bedroom that the PG-13 version allows “two sh*ts, one f*ck and a glass of white wine.” He sums up the store as “fencing, fighting, revenge, monsters, true love and miracles.” Although the film has cut out, reshot or glossed over many inappropriate things, keep in mind that this is still a PG-13 release. It is not G rated. 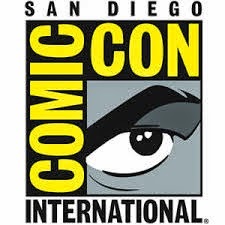 Once Upon a Deadpool also stars Morena Baccarin as Deadpool’s true love, TJ Miller as the brutally honest bartender, and Karan Soni as cabdriver Dupinder. 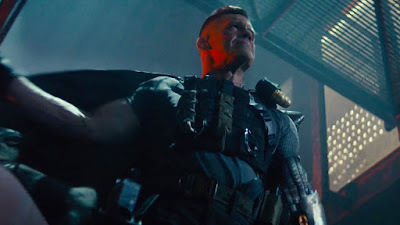 The film features Josh Brolin as cable and a host of other well-known characters. I brought my ten-year-old to see this film in the theater and he absolutely loved it. The character Deadpool was everything he had expected. He thought he was awesome and hilarious. I wasn’t worried about the violence, and there is still plenty on screen. My son didn’t flinch when Deadpool explodes and body parts go flying. The sexual references did concern me a bit but seemed to either go over his head or weren’t very important to him given all the cool things he was seeing. My son laughed out loud at some of the sillier jokes. If he’d been any younger or a bit more sheltered from images like this, it could have been a problem. Again, this is PG-13, not PG-10 so I knew I was taking a risk. 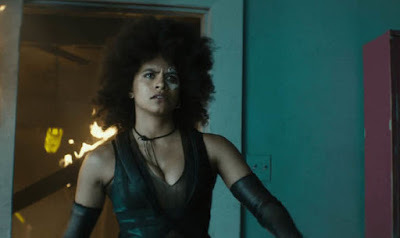 For adults, if you haven’t seen Deadpool 2, you should first watch that in its entirety. Once you know the whole story, you might prefer Once Upon a Deadpool. The addition of Fred Savage makes for some funny new moments, especially if you get the set up provided by The Princess Bride. 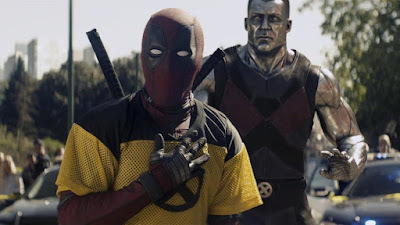 Once Upon a Deadpool is basically Deadpool 2 with some added scenes. All the technical merits of the original film remain the same. Fine detail is excellent and there are no issues with black levels. With the addition of Fred Savage’s bedroom there is a new location to look at with visible details like a bag of Cheetos behind his head (with dated packing) and other items that show this isn’t just a bedroom, it’s the Princess Bride bedroom. Most importantly the new scenes blend seamlessly with the old ones and are colored and textured appropriately. The DTS-HD Master Audio 7.1 track is similarly consistent with the Deadpool 2 Blu-ray release. All the action and violence take place outside the added bedroom scenes. Added dialogue is straight forward and intelligible. Much to my dismay, there are no extras on either the Blu-ray or DVD. Deadpool and Deadpool 2 both include significant supplemental features. I thought there would be at least a mention of how this idea came to pass, the ticket sales supporting a charity, or how hard it was to soften Deadpool. Deadpool isn’t for everyone but if he is a beloved character to you, then I suggest adding Once Upon a Deadpool to your collection. I couldn’t fathom how they would change this film to get down to PG-13 but they were successful, and the results are awesome. I would love to see a PG-13 version of Deadpool, maybe Wolverine would want to be involved in that project! My overall score suffers due to the lack of any bonus features, but it’s still a fun release worth having. Recommended.